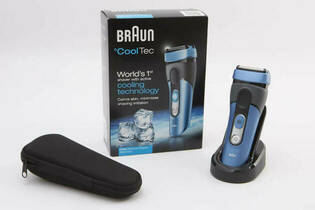 Snapshot: The Braun CoolTec CT4S foil (oscillating) cordless electric shaver has 3 foils and is washable. How well does it shave? Has cooling function on shaver head. Head doesn't need to be removed to use trimmer. Can't be used for wet shaving.